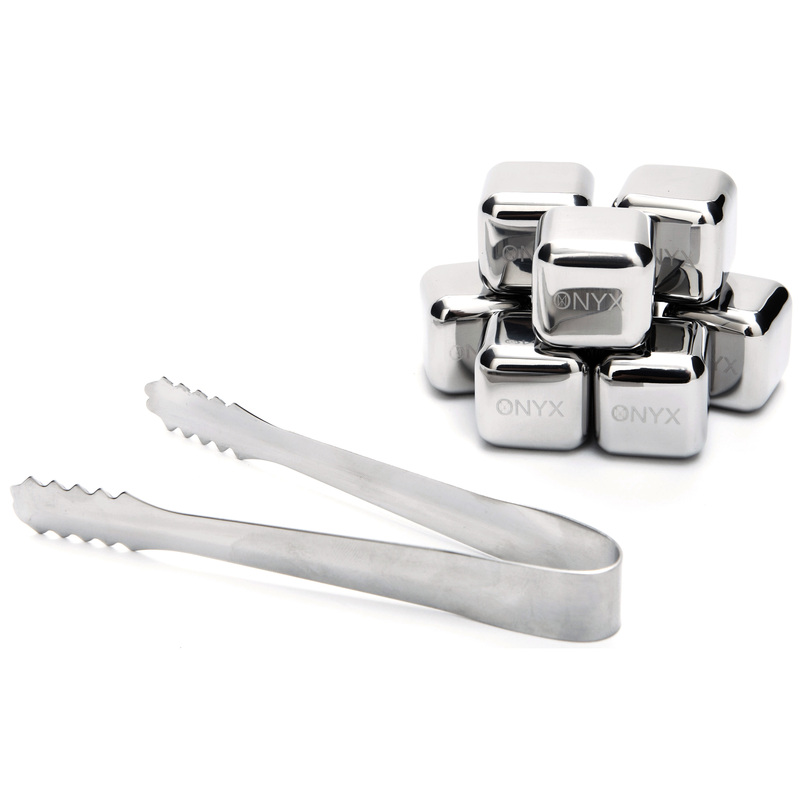 Chill out and cool off your drinks with this ice cube set from Onyx. Made from stainless steel, these cubes are durable and long lasting. Freeze the cubes and in three to five hours, pull them out and cool your drink off without diluting it with melting ice. On top of that, unlike other reusable cubes, these beauties are stainless steel, making them free of harmful chemicals and eco-friendly. Rinse them before the first use and after each use, then allow them to dry before freezing them again. This set includes seven reusable ice cubes and a pair of tongs to meet all your drink making needs.